An MBA degree from one of the top business schools in the country is considered a stepping stone to a high-profile corporate life with its seven-figure salary and added perks. While several flourish in the corporate set up and enjoy being a part of the rat race, quite a few dream of quitting and doing their own thing — from following their passions to turning entrepreneur. But self doubt and financial insecurity plague them and a very limited number finally take the plunge. Most prefer to try their hand at something different while still holding on to their corporate jobs. Well-known author Amish Tripathi, for instance, wrote his first book in the back seat of his car on the way to and from work. “I told my driver to go easy on the bumps,” he says laughingly. While they may not be keen on a corporate career, no one regrets their b-school education. In fact, it comes in handy in more ways than one. While Harsha Bhogle believes it helps him see the wider picture while giving commentary, Vikram Ahuja of Byond Travel uses his friend network to plan better trips for his clients. Amish has put his education to good use in marketing his books. What’s more, their b-school education has made them more disciplined and confident. “Having done that gruelling two year course, you feel you can handle anything,” laughs Harsha. 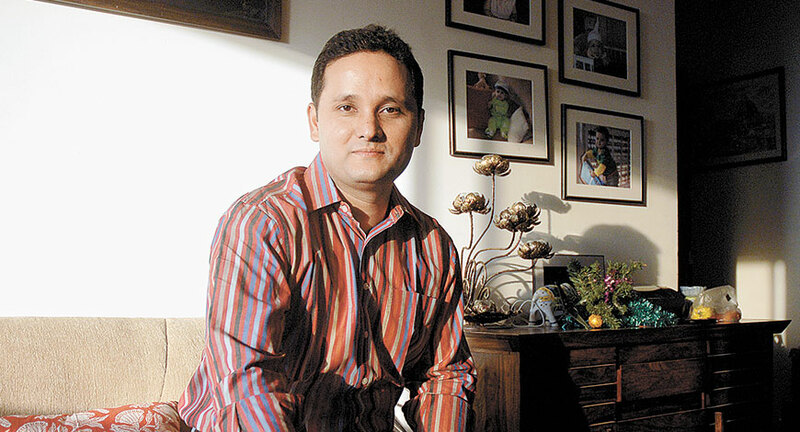 Amish Tripathi, 42, or Amish as he likes to be called because he wants to be judged for his karma and not where he was born, created history in the literary world when he was offered a $1 million advance from publishing house Westland in 2013 for his next series of books, the premise of which wasn’t even finalised. The offer came on the back of record-breaking sales of his first set of books, the Shiva trilogy — The Immortals of Meluha, The Secret of the Nagas and The Oath of the Vayuputras. The Shiva trilogy began as a pure philosophy thesis. An exploration into the question — what is evil? That over time got converted into an adventure thriller with the philosophy at the heart of it all. “The idea was to convey the philosophy through an entertaining story,” explains Amish. For 14 years, Amish worked in the gruelling environment of the corporate world. He started his career at Standard Chartered, moving on to DBS and then on to IDBI. He spent 8-9 years in different companies of the IDBI group including IDBI Bank and IDBI General Insurance and worked in sales and marketing, product management and development. The first book was written in the back seat of his car on the way to and from work. While Amish was convinced that it was a story worth telling, publishers thought otherwise. His book was rejected by several publishing companies and he finally decided to self publish. “Everything from publishing the book to marketing it was done by me,” says Amish. Amish’s wife came up with the idea that they should give out free samples of the first chapter of the book. “Marketing has to solve a business problem. The business problem for my first book which was a self published book from an unknown debutant author was that my books were a well kept secret in the book stores. Forget buyers, even the store staff didn’t know that my book had been launched. So giving away free samples of the first chapter of my book was similar to what had been done in the FMCG industry where shampoo sachets were given for free for people to try it out,” explains Amish giving an insight into his marketing background. Even though Amish is a household name today, with his books having sold over 3.5 million copies and having been translated into 18 languages, he believes marketing is required to sell his next set of books. “I strongly believe that complacency is the first step towards failure. There is much greater support from retailers now but our targets are also much higher. For my first book we sold 40,000 copies in four months. But now we want to sell several lakh over the first six months. We need to put in much more efforts as the targets go up.” Amish believes he now needs to expand the market and as a marketing strategy the books will be sold through non-traditional outlets such as super markets. The first book in the Rama trilogy — Scion of Ikshvaku — was sold at clothing and accessories store, Westside. All marketing plans for the next book are under wraps. “You will have to wait to be surprised,” smiles Amish. “I can’t take credit for the marketing ideas as they come from the team but I do decide which ideas to pick and back. Not every idea will work.” Amish also believes that only when an author is involved in the marketing of the book, can he set benchmarks and form certain rules. For instance, Amish is very clear that under no circumstances can controversies be used to sell his books. Anyone who watches cricket is already familiar with Harsha Bhogle often referred to as the voice of Indian cricket. Rated as one of the best commentators in the world, Harsha is as familiar to the cricket watching public as the Men in Blue. But besides being a cricket commentator, Harsha along with his wife, Anita runs Prosearch Consultants. Their lecture series called The Winning Way shows how learning from the field of sports can be applied to the corporate world. “The metaphors that we use are all from sport and we talk about excellence and leadership, team building, innovation and change,” says Anita Bhogle. 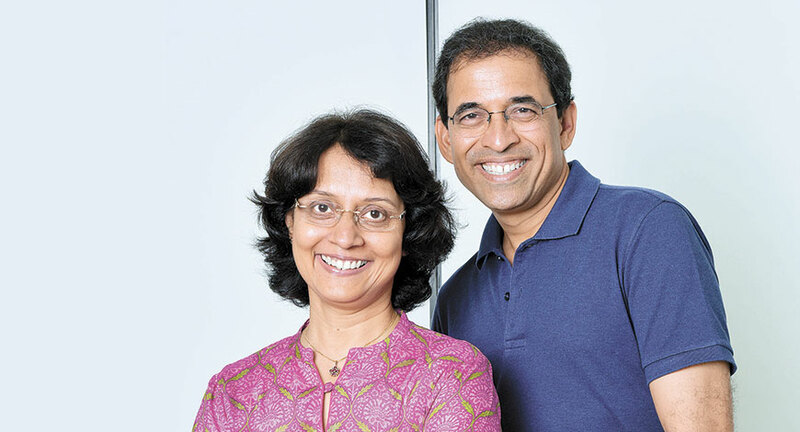 Both Harsha and Anita are from IIM Ahmedabad and graduated in 1985. 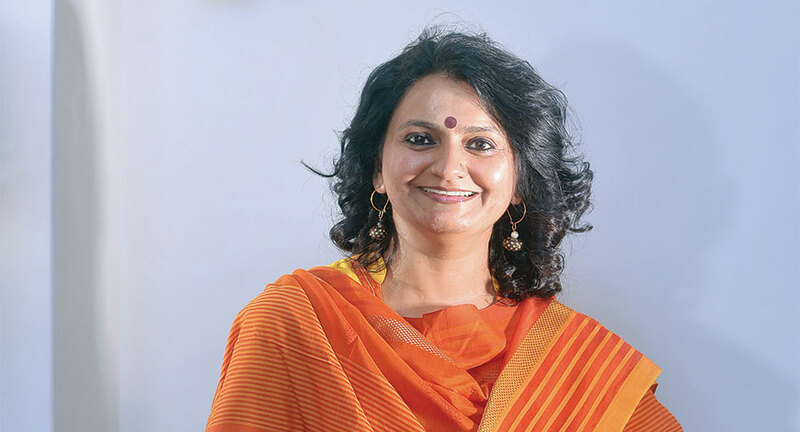 While Harsha worked for Rediffusion for a couple of years before quitting and going freelance, Anita continued in the advertising world till 2000. They came up with the idea of merging sports and business and bounced it off against a friend at Unilever. He thought it was a good idea and they prepared a 20 minute presentation. That was 16 years ago. Today, they have done over 450 workshops and the average presentation lasts between two hours to a full day. Based on their presentations, they wrote a book called The Winning Way which was launched in 2011. It’s a bestseller having sold over a lakh copies. An updated version of the book with a couple of more chapters is in the pipeline. Harsha and Anita make a good team. “We marry our strengths very well. I look at the brands and business side of it and Harsha does the sports side. Of course, now we have done so many that we could speak each other’s lines,” smiles Anita. There aren’t too many husband wife teams working like this. So what’s it like, working with each other? “It’s very easy for the most part. The only challenge I have is that though Harsha doesn’t act like a celebrity he is often treated as one. Starry-eyed HR people can get a bit irritating,” says Anita. 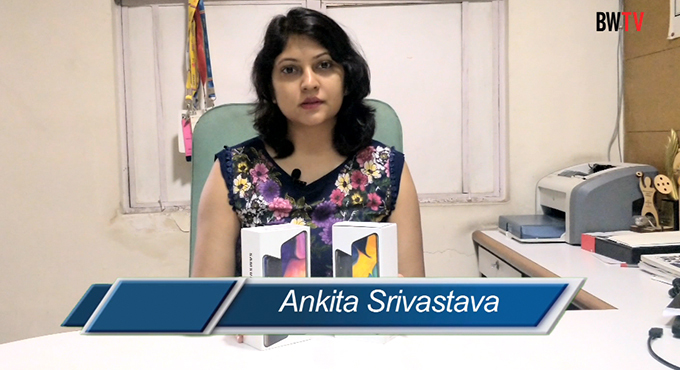 While Harsha is a great story teller, Anita’s corporate experience allows her to judge what is best for each company. “Our workshops are completely customised. There isn’t one off-the-shelf product. The challenges faced by each company and sector are different and we work accordingly,” says Harsha. “A lot of the motivational/inspirational speakers we get clubbed with come and tell their own stories. So they tell the same story every time. Whereas, we customise it for our audience. The stories that we tell and the examples that we give are far more appropriate,” adds Anita. How does their b-school education help them? “It gives us immense credibility. IIM-A is one of the strongest brands in India. Being its alumni counts,” says Harsha. 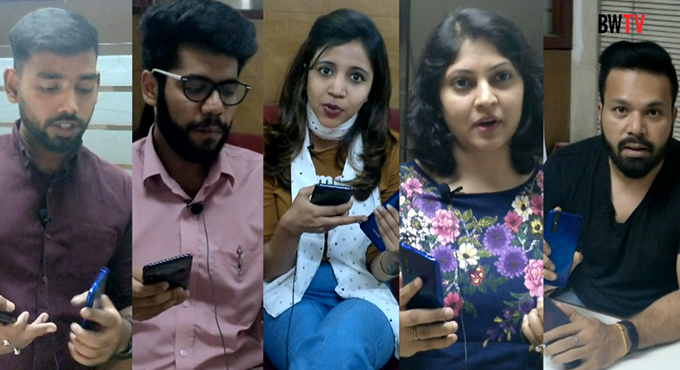 Even in his role as a commentator, Harsha believes his b-school education comes in handy. “It helps you look at teams in a certain way. You look at a much bigger picture than what happened at that particular ball. Since commentators are basically storytellers you can then look at various areas to embellish your commentary. At the end of the day, we all bring our experiences to our job. Also it helps in creating this aura of an interesting person,” says Harsha adding that it gives him enormous confidence. “Having done that gruelling two year course, you feel you can handle anything,” he laughs. The world of sport as well as the world of business is undergoing immense changes and it’s become important for all to remain relevant. This is something Harsha and Anita focus on. “Adaptability is key,” says Harsha. “The rules of the game have changed both in sport and in business. Experience is not everything, it needs to be relevant. Whether it is in the corporate world or sport. That is why people in their 40s and 50s in the corporate world face challenges because not all their experience is adding value to their jobs. Similarly, in cricket so many styles have changed and people have to struggle to remain relevant,” adds Anita. Sometimes your experience works against you. “You need to train and update yourself all the time because your experience needs to be relevant. If it is not relevant then it actually comes in the way. So if your experience is in building innings and batting for three hours then your experience is coming in the way of T-20 cricket,” explains Harsha. Metaphors such as these are well appreciated by their audience, and the Bhogles are often called back for talks. “The best thing is that we have done several for the same company. You know what they say about advertising — advertising creates the first purchase but product quality creates the second purchase. So when they call you back it’s a great feeling,” says Harsha. Anita says they often joke that attrition is good for them. The HR manager at one company has a session with them and when he/she quits and joins another company, they are invited there. Vikram Ahuja’s love affair with travelling started at a young age. With both his parents being in the navy, Ahuja moved around a lot as a child and was fascinated with new places. 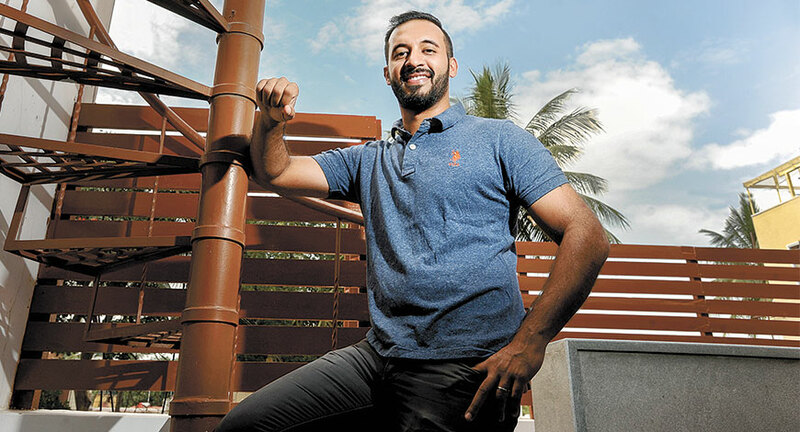 However, before setting up his own company, Byond Travel in Bangalore in 2014, Ahuja went through the whole corporate rigmarole including a couple of startup journeys — one which was successfully acquired in 2013. Ahuja did his MBA from the IESE Business School in Barcelona, Spain in 2010. He then worked across Europe and the US and finally moved to Dubai to join the early team of Cobone, which grew on to become the largest daily deals company in the Middle East. Cobone was acquired in 2013 and Ahuja started an online travel company in Dubai which he exited in 2014. Ahuja says running a travel company always keeps you entertained because you meet such interesting people. He admits that the first few months were very difficult since a lot of people expressed interest but no one really booked. “Finally, our very first customer came in through a family reference, ended up missing both her flights to Bali and I remember we were up till 4 am trying to figure it out and wondering if this was a sign of things to come. Luckily, we’ve had very smooth operations since then,” he chuckles. Having done his MBA from an international institute where he interacted with people from 40 nationalities has turned out to be very useful for Ahuja in the travel business as he is able to contact his large network and use their local expertise to plan trips for his customers. 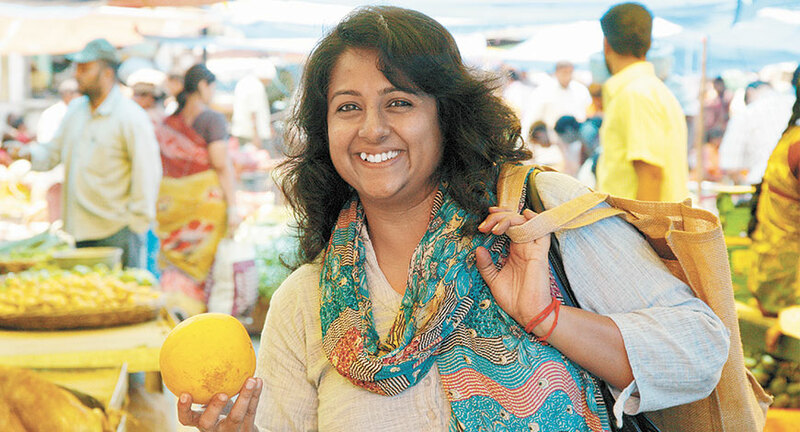 Jayanti Rajagopalan or ‘jonty’ —A nickname given to her at her alma mater, XLRI, Jamshedpur — loves food. “I always wanted to do something related to food. My first thought was to open a restaurant but I didn’t think I could do it,” says the 45-year old who graduated in Personal Management (PM) & Industrial Relations (IR) from XLRI in 1995 and today runs her own travel company called Detours India that specialises in customised theme tours in and around Hyderabad and multi-city food tours across the country. Jonty joined Titan Industries from campus and after two years on the factory floor moved to sales and marketing. She quit the company after 11 years because she wanted to take a break from the corporate sector. She joined The Gates Foundation and was managing their HIV prevention programme for Andhra Pradesh, Tamil Nadu and the north-east. “My initial plan was to work for The Gates Foundation for just a year but I ended up working there for three years.” All the while, the idea to do something on her own was at the back of her mind. “Once you start working in a company, you become complacent. It’s like a golden handcuff. You know you have to take the plunge but you are happy with the salary, perks etc.” It didn’t help that everyone suggested she should do her own thing on the side and see how she fared before quitting. While setting up the company her MBA education came in handy. “I went about it methodically. I figured out my target audience, market size, challenges etc,” says Jonty. What started with just 2-3 tours a week has grown into a company doing 2-3 tours a day in peak season. “We have grown a lot in the last eight years but people, especially my b-school batchmates and colleagues keep asking how I plan to scale up and sell the company. They don’t get it that I don’t want to sell,” says Jonty. “Our USP is customised and personalised tours. Not every successful business remains successful when it scales up,” she says. As of now she is happy walking down the streets of old Hyderabad with a group of people enthusiastic to discover the city’s hidden treasures. Though singing was always a passion, while growing up Radhika Sood Nayak never thought she would become a professional singer. She graduated from XLRI in 1994 having specialised in PM & IR and joined Unilever from campus. A couple of years later she moved to ANZ Grindlays. All the while she continued to sing as a hobby. However, after six years in the corporate sector, Nayak was getting frustrated. “The regimented environment and job dissatisfaction gets to you after a while,” says Nayak who trained in Hindustani classical music from Gandharva Mahavidyalaya in New Delhi. She quit and decided to pursue music full time. “I thought if I didn’t quit now, I’ll never be able to do it. I knew I had to take the plunge” says Nayak who initially thought of trying playback singing. But that did not work out and Nayak moved on to stage shows. She started with singing Hindustani semi-classical forms like thumri, dadra, hori, jhoola and devotional music but soon found her sweet spot in singing Sufi. Nayak’s journey into Sufi music began with Punjabi Sufi poet Bulleh Shah’s kalaam. Today she is known for her Punjabi Sufi singing and has sung at several occasions and festivals across the country including the Kabir Festival in Mumbai, Delhi’s Lotus Temple and the Kala Ghoda — Make in India Festival, 2016. Punjabi is Nayak’s mother tongue and this makes it easier for her to sing Bulleh Shah’s kalaam. “Because I understand what I am singing, I’m able to explain that to my audience and that is always appreciated,” says Nayak. Does she ever regret quitting the corporate sector? “I go through my low points when I have self-doubt about things like how I can market myself better. But I never doubt my decision of quitting the corporate sector,” says Nayak who won the FM radio channel ‘Radio City Super Singer’ contest in 2013 in Mumbai. “The satisfaction level is very high,” she smiles.